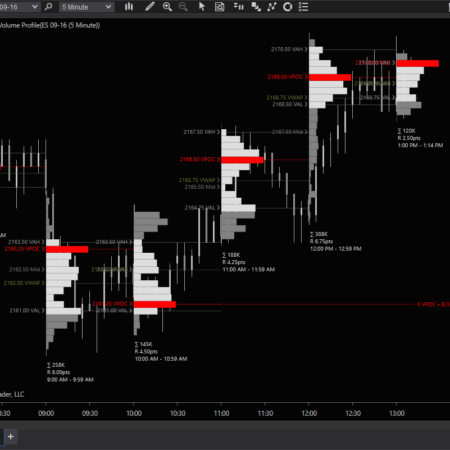 Intraday profiles » many instrument classes resonate to particular time, volume or range harmonics over the course of the trading day. 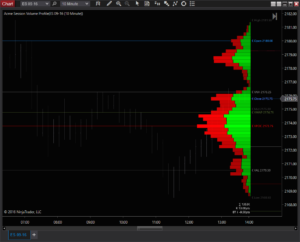 Like range profiles, except with mathematical regularity, intraday profiles slice into the price action and put buying and selling pressure up front, at a glance. Session profiles » daily session breaks provide bookends and boundaries for the day. Session breaks are a forced pause in trading and they provide vital opportunities for market participants to reflect and adjust, which is why sessions are a critical time frame to include in your analysis. Intermediate profiles » most traders shouldn’t live by intraday or intrabar analysis alone, particularly at boundaries important to trading life are considered – days, weeks, quarters, months and even years. Intermediate profiles provide quick way to visualize the larger context of price, volume and time and integrate them into your action plan. 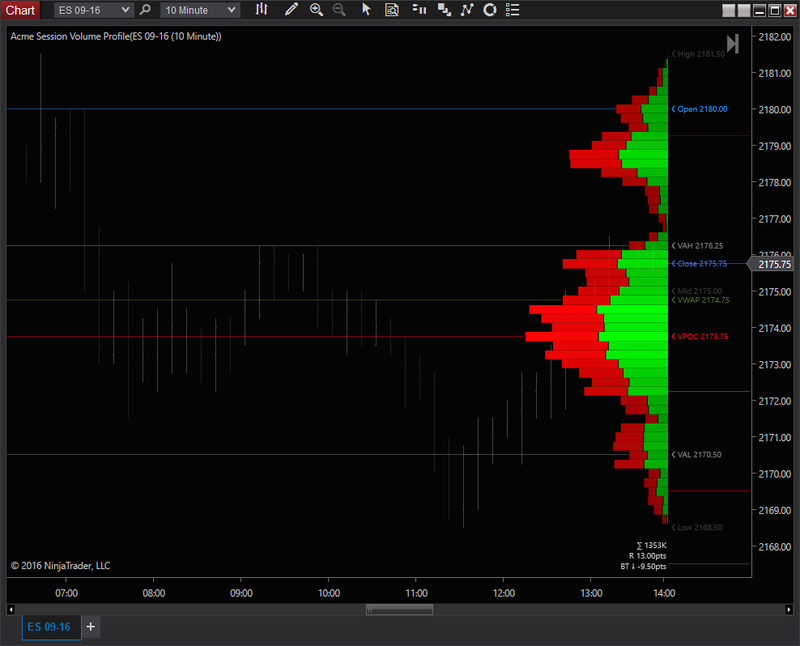 Range profiles » a powerful way to profile specific sections of a chart without regard for specific time frame, such as a specific swing or balance area. 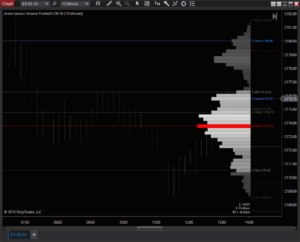 Composite Profiles » much like range profiles, Acme composite profiles are a time-frame-neutral way to identify important price areas over very long or even very short time frames. 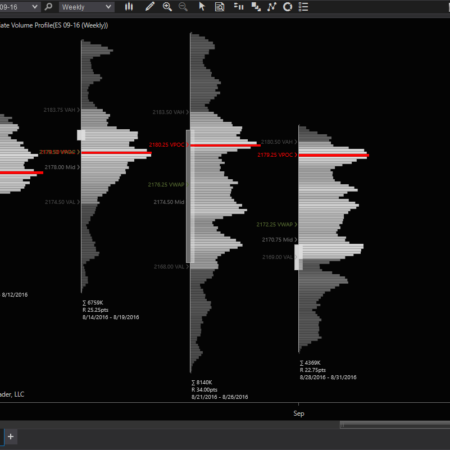 Traditional profiling shows volume-at-price, the locations where the most volume was transacted. Said another way, fair and unfair price for the span covered by the profile. Powerful stuff. Traders take advantage of unfair prices and soak up all the liquidity at those locations and move price back to fairer regions. 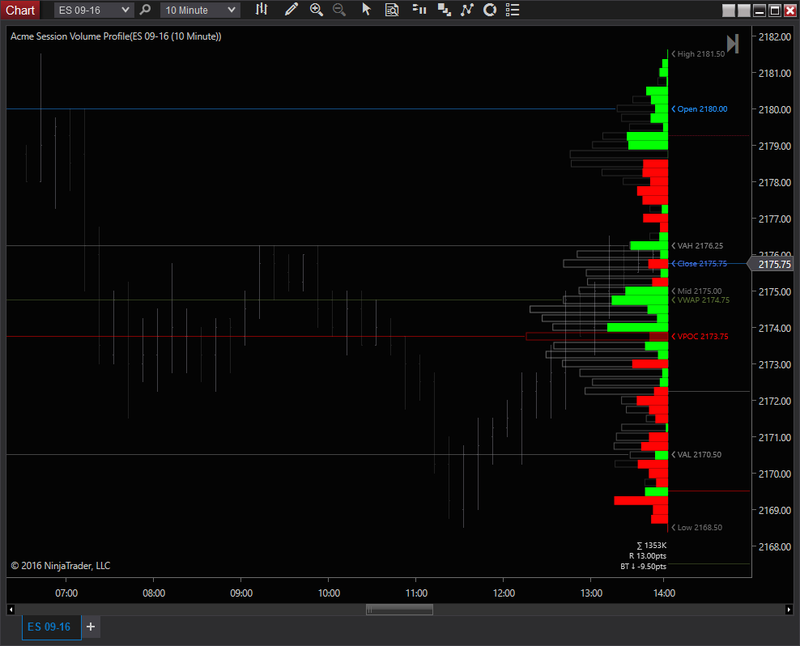 Conversely, price can languish for long periods at fair prices, transacting high volume there. 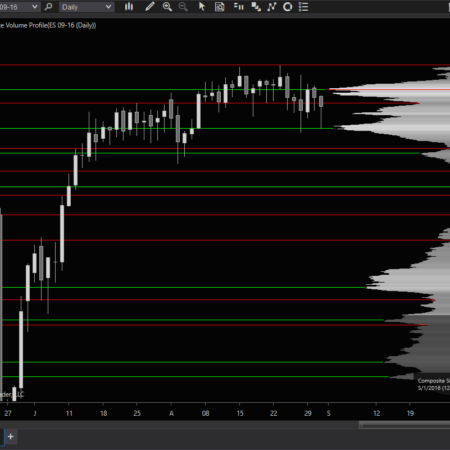 You’ll know exactly where these areas are at a glance with the traditional volume profile. 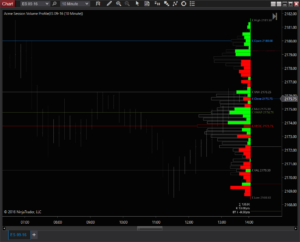 Much like the traditional volume profile, the Buy-Sell profile type shows the fraction of each price which was attributed to the buy side and the sell side, clearly showing areas where traders took action and where they collided while trying to take control of the market. Attention detail-holics, this is the probably the type for you. 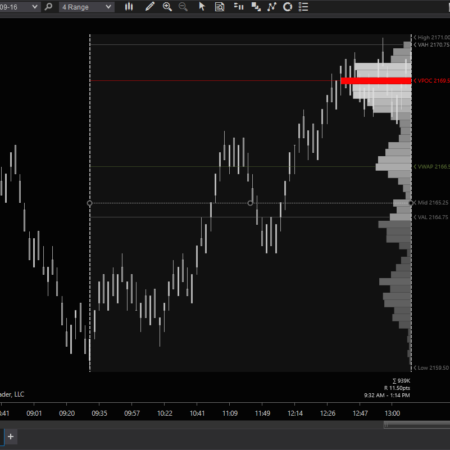 The Delta profile type shows you areas of excess and aggression at a glance, and they’re not always where you’d expect! 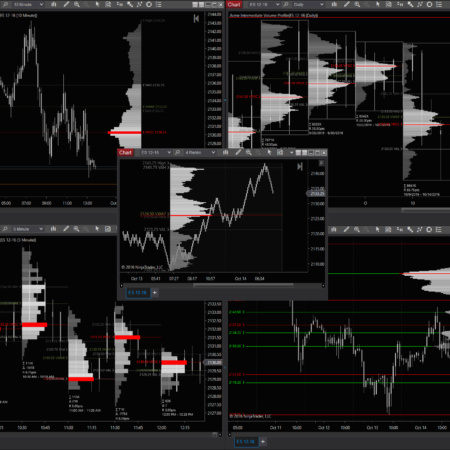 Groupings of a single color indicate ranges of price where traders took decisive action on the buying or selling side. 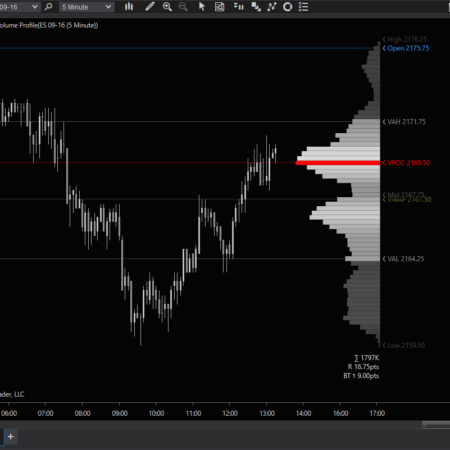 Profiles with no distinct areas indicate both sides active over the entire range of prices. 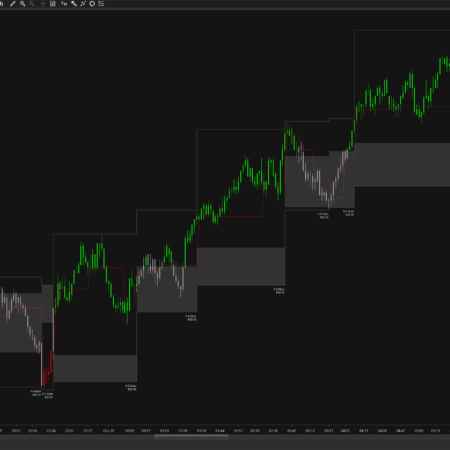 Regions where grouping occur prices are generally tested shortly thereafter in all instruments. Look carefully at the profile on the left. Notice how price tested the areas of aggression in the following session? 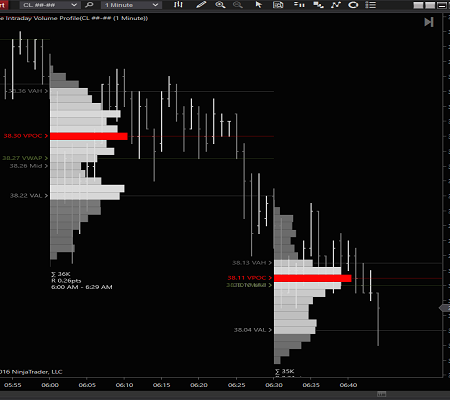 The best part about the Delta profile type is that you lose no information, the imbalance is superimposed right on top of the traditional volume profile.